After almost a year on the market, the Grand River Technical School’s building trades home built during the 2008-09 school year has sold. 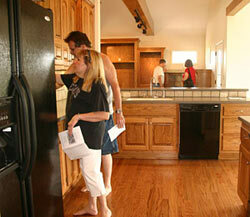 Steven and Nicki Barnes purchased the house, located in Lakewood Estates, for $248,500. According to Superintendent Dr. Linda Gray Smith, the revenue from the sale of the home has been included in the district’s 2009-10 budget. Sealed bids for the Grand River Technical School’s building trades home at 2020 Lakeview Drive were submitted by June 2, 2009, 4 p.m., and school officials say the 42nd building trades home will go to the first buyer who is able to provide the minimum established price of the home — $264,750. 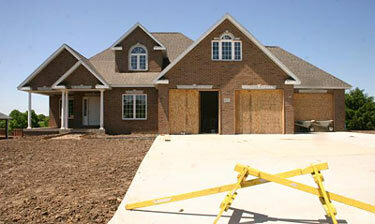 The minimum established price covers the cost of building the home and an additional $5,000. Prospective bidders may contact GRTS at 646-3414. 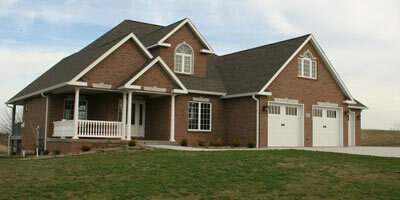 To view photos of the home, click here. The first house built by the building trades class in 1967 is in the Ballantyne Addition and was sold for $24,000 to John Rogers. School officials say the home cost $18,000 to build. CAPTION: Potential bidders for the Grand River Technical School’s building trades house, as well as other interested parties, viewed the 2020 Lakeview Drive home on Sunday during an open house from 1 until 4 p.m. The house will be sold through a sealed bid process. Bids are due by 4 p.m. Tuesday, June 2, at GRTS. The terms of the sale require 10 percent due at bid opening with the balance due on June 30. CAPTION: Garrett Henderson, of Hamilton, a building trades student at Grand River Technical School, measures a window in the upstairs bonus room of the house being built at 2020 Lakeview Drive by the school’s building trades classes. The house, boasting 2,700 square-feet of finished living space will be sold June 2 by sealed bid. The sealed bid process — rather than the traditional auction — is intended to be more convenient for potential buyers. The Grand River Technical School’s building trades class has completed yet another home. However, the sale of this year’s home differs from sales of homes past because for the first time in school history, the house will be sold by sealed bid instead of during an auction. Ron Wolf, co-director of Grand River Technical School, said that the building trades home at 2020 Lakeview Drive is being sold differently for two reasons: To attract potential buyers who need more time to put together a bid because of lending requirements and to eliminate expenses incurred through the auction process. Bids, Wolf said, are due by 4 p.m. on June 2 at GRTS. He noted that the terms of the sale are 10 percent due at bid opening with the balance due on June 30. An open house is scheduled at the home on Sunday, May 31, from 1 to 4 p.m. Those interested in bidding should call GRTS during business hours at 646-3414 to make an appointment to view the house. Bid packets and house specifications are available at the GRTS. The ranch style, all-brick home at 2020 Lakeview Drive is located on 1.5 lots in Lakeview Estates. It features 2,700 square-feet of finished living space and three bathrooms. Some amenities of the home include: custom oak cabinetry and painted trim throughout, a central vacuum system, television and phone jacks throughout, two bathrooms on the main floor and one upstairs, a country kitchen with custom cabinets that come complete with Corian tops. 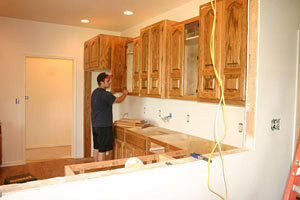 The home also includes all new kitchen appliances and oak flooring. The home features a 12-foot by 12-foot eating area with a vaulted ceiling and a tile entryway. One of the home's bedrooms has two nice closets and another has French doors into the entryway. The laundry room in the home has a new washer and dryer on the same level as the bedrooms with lots of custom oak cabinets, school officials say. There is also a Whirlpool tub, double bowl vanity, a linen cabinet and a large double walk-in shower in the master bathroom. The exterior of the home has vinyl clad windows and 6-inch seamless gutters. The home has "wet-blown" cellulose insulation and a large great-room with a vaulted ceiling and a gas fireplace with a large entertainment center. 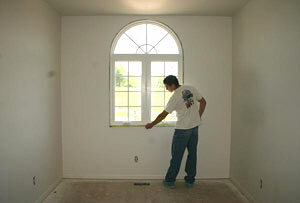 The full unfinished basement has an egress window exit and two stairways. The home has a two-car garage with automatic openers and an additional one car garage with an automatic opener and a stairway into the home's basement. The yard is landscaped and comes equipped with a sprinkler system. School officials say the home has a high energy efficient heat pump with a gas backup and a gas water heater, along with a central air unit and a 12-foot by 14-foot maintenance free deck. There is also a storm shelter in the basement. CAPTION: Jake Meyers, of Chillicothe, works on kitchen cabinetry in the house being built by students of Grand River Technical School's building trades class. The home features 9-foot ceilings in the kitchen and a vaulted ceiling in the entryway.